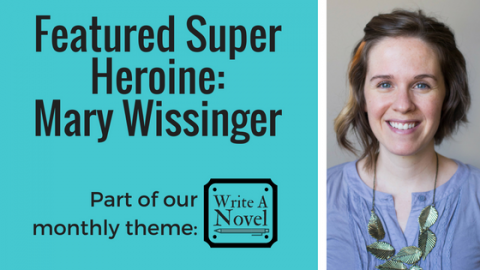 NaNoWriMo: Week 3 | Super Heroines, Etc. Hello, friends! 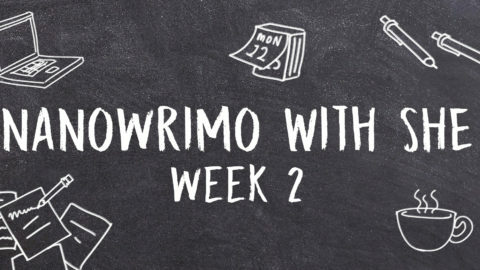 And welcome to week three of NaNoWriMo! We are about two thirds of the way through the month, which means there’s only the rest of this and next week left to go on your novels… *Cue furious nail biting* At this point if you’re on track it may be easy to lose steam and if you’ve fallen behind it may feel impossible to catch up. For this week’s post, I wanted to focus on ways to keep going and to not lose hope in the process. There are seemingly endless ways to lose track of plans and milestones when approaching a project this big. Life, work, health, and a plethora of other events and distractions are always there to take precedence and shuffle your to do list despite all best efforts. And it’s hard, right? Life is real, and there are so many things that legitimately call for your attention and may need immediate priority. So how do you get back on track or stay on track without fighting the world? (As an aside, for anyone who has this balance down to a science, please feel free to share your tips and secrets! Because lord knows I struggle with this, too). 1. Write yourself in. Some of you may have heard me talk before about keeping a written planner. While in a technologically advanced world there are admittedly some drawbacks (it doesn’t translate to every device, it won’t send you alerts or set alarms, etc. ), writing down something and feel the tip of a pen against a surface hits my brain in a different way than typing, plus I find the tactile experience of the pages in my hand much more engaging. Whatever your most successful method, though, write yourself in! Made an appointment with yourself. A date. A check in. Whatever you need to do, but set aside some time in an official capacity – on your calendar. Approach it like you would any appointment you have and take it seriously. 2. Give yourself options. Once you take this sacred time to yourself, give yourself some options. When I carefully set aside time to write (or for any specific activity), I find that when the time arrives that is suddenly the last thing I want to do. Work time? I think craft-time is more like it. Writing time? I have never wanted to clean the house as badly in my life. Sometimes it’s hard to force the activity if it doesn’t want to come, but writing, as with anything else, is a practice and a little coaxing might be necessary. When you enter the time you set aside to write, give yourself a little leeway but stay as focused on your task as possible. If writing words actual involves you pulling teeth from your mouth, give yourself the space to maybe research an aspect of your story – a location, and object, a philosophical theory. Maybe sketch a character or look through online image research tools for a picture that inspires you (pixabay.com is a great free image resource that I use quite often). Work on your story, but give yourself options and you may find that the writing itself comes a little more easily. 3. Treat yo self! Everything is harder when it’s work. You have to sit down. You have to write x number of words. But what if you got to take this time instead? Find ways to make your writing sessions a treat to yourself. Favorite beverage? Drink it! Comfy, fuzzy pants? Wear them! Candles scented like a unicorns elbow? Light that thing up! Seriously, create a space that you want to be in. Give yourself the things that make you comfortable and happy. Start to associate these productive you-based moments with positive, toasty feelings and help make it a time that you can’t wait to take because realistically it’s going to be hard and it’s going to be work, so why not make it as enjoyable as possible? There is still some time to go, so keep on keeping on! You’ve started an incredible and honestly hard journey, but this is something worth doing. Your stories are worth being told, so let them out. You can do it!